Welcome! 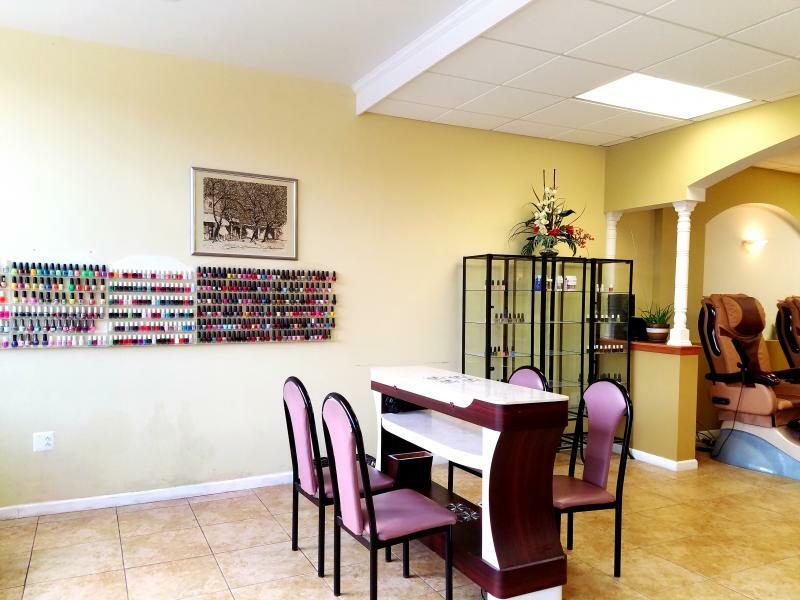 ﻿﻿﻿Time for Nails is a full service nail salon providing professional nail care, waxing, and facial for women and men. 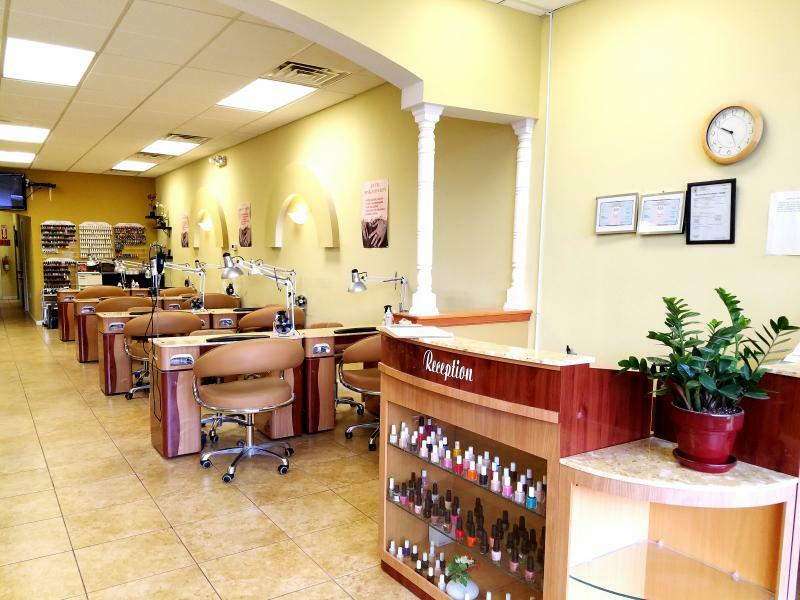 We offer natural ingredient Herbal Manicures and Pedicures that you'll find no where else. We specialize in UV Gel Pink and White and Gel Manicure. We carry over 150 gel colors from Shellac, Axxium, Gelish and Jessica. We take pride in the cleanliness of our salon. Your safety is important to us; therefore, we use individual nail file, buffer, and pumicestone on each client. Also enjoy complimentary water, hot tea, coffee, and chocolate coco mix during your visit. Our Guarantee: If within (1) week of getting nails enhancement from us and it lifts or breaks- not due to the client's abuse, Time for Nails will fix your nails at no charge. * We believe in building a strong relationship with the community of Plymouth Meeting and its surrounding area. If you represent a nonprofit organization such as a church or community center, please ask us more about our Giving Back Program. 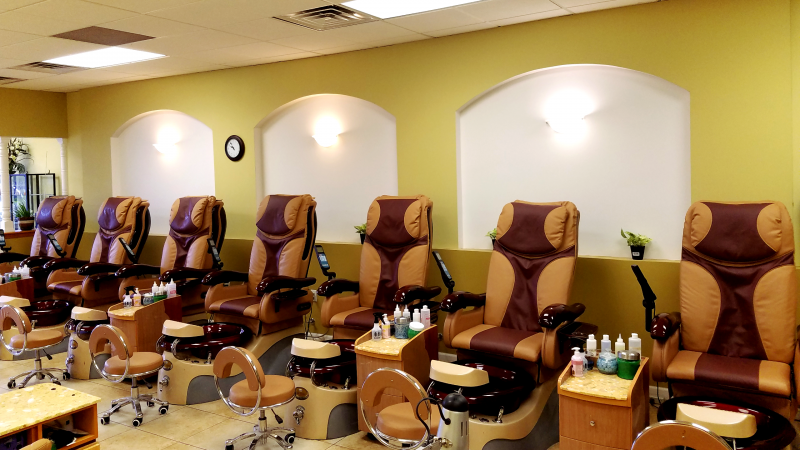 Below are (2) snapshots of our salon: we are well-lit, clean, and spacious along with newer equipments for clients to be comfortable and not feel clustered.